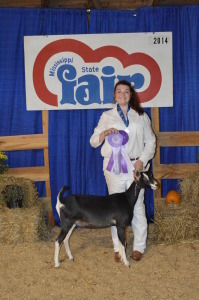 Fall, a time for state fairs all around the country and that’s no exception for Mississippi. At the 2014 Mississippi State Fair in October, Camelot hills started on its first adventure in showing. 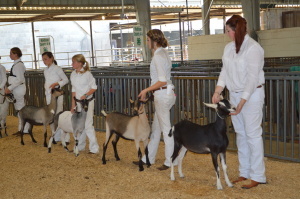 We went into this fair with no expectations of coming away with any awards or ribbons, hoping to only get a learning experience for future shows. Arrival at the fair was pretty standard, we setup camp, found out where we needed to take the goats, albeit through a little detective work, and go them all setup in their pens for the weekend ahead. We made sure they had shavings and water and were comfortable just as we would at home. We settled in for the night, all giddy for a long weekend of showing. The next morning we got our girls all fed and cleaned up ready to show. 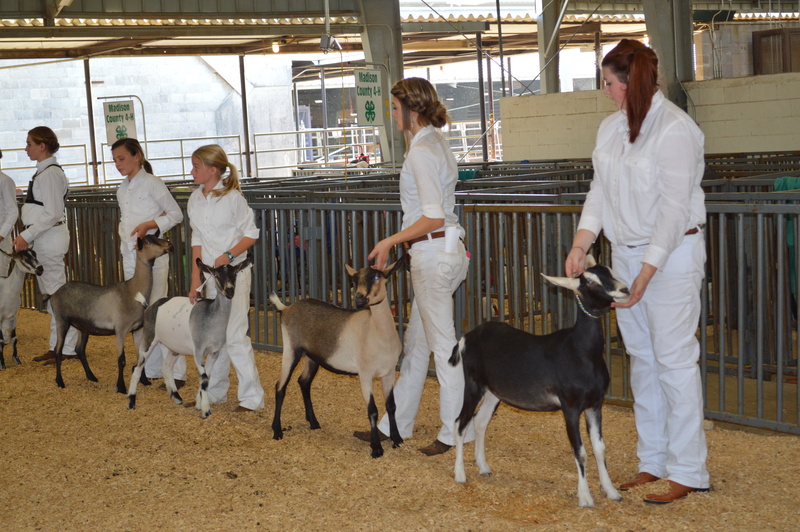 We had trimmed hooves and trimmed fur before we came to the show making it much less stressful than it could have been. We asked around on where to get our program so we knew when and where to be with what goats etc. Then we perused around the other goat exhibits and saw a lot of great ideas…except for Jenny, all she wanted to do was pet goats.